How does law and order work in North Korea? The constitution represents the national identity and national law of a country, and no one, even the ruler, is above the constitution and the rule of law. At least, that’s how a normal country should work. The North Korean constitution, on the other hand, is a nominal set of rules and there are people who have the power to revise the constitution to feed their appetites. So how do people live day by day in a country where the rule of law does not apply to everyone equally? North Korea is a country where human rights abuses are prevalent and those who face executions are not given the right to an attorney or a fair trial. Crimes and felonies such as robbery, fraud and murder take place in North Korea as they do in other countries, but very few prisoners face public execution for felonies like these — the police and justice system have other worries: political prisoners. Of course, there are an abundant number of people charged with criminal offenses. But most of them cannot hire an attorney for themselves. Even worse, most North Koreans don’t know the existence of lawyers. Neither do they know what lawyers do. Even if one hires an attorney, there’s a less chance of proving their innocence than of getting struck by lightning. In North Korea, cops were always domineering, incessantly asking for bribes, and generally abusing their power in return for a reduction in a citizen’s sentence. For this reason, while the ruling ideology states that everyone is created equal in North Korea, the poor face disproportionate punishments for petty crimes, while the rich can quite literally get away with murder. For example, someone I knew killed five people in a car accident while driving drunk, but was sentenced to only three years in prison because his father was a high-ranking police officer. He was released after serving a year in prison, free to walk the streets again. 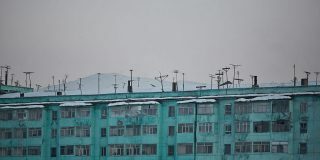 In contrast, a group of poverty-stricken people broke into a state-owned factory to steal food, probably the most common crime in North Korea, and were caught and faced public execution. 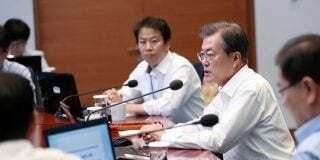 Even though they should have been charged with just robbery, they were indicted on charges of plotting a rebellion against the North Korean government. Of course, they weren’t allowed to hire an attorney, or even to appeal. 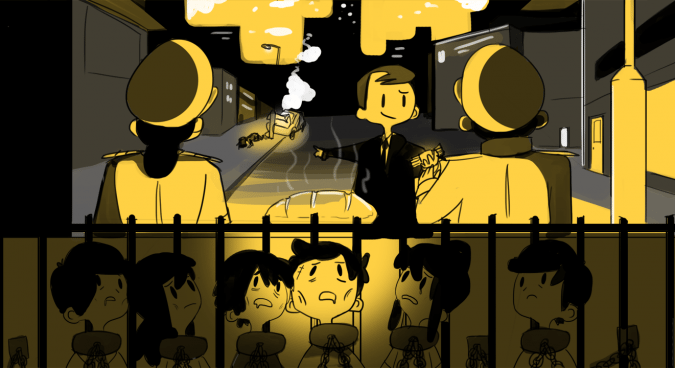 Following the public execution, their remaining family members were forced to move to rural towns. This happens all over the country and all over the world: people who are starving steal food. But, since most North Korean cops are incompetent and there’s a shortage of cops in the DPRK, most of these crimes remain cold cases. Even if they become victims of robbery, people do not report it to the police — they don’t expect the police catch those responsible. Most people indicted on charges of economic crimes receive three to ten years of prison time. But a sentence of more than five years is essentially a death sentence: most prisoners do not survive more than three years of harsh labor and prison conditions. Without family support, most prisoners would probably die in prison after one-two years. There are a number of so-called “Labor Training Centers” in North Korea. Thugs, illegal street vendors and people who have travel without permission are sent to these places where they are subject to forced labor for months. During this time, they disappear — their families aren’t notified of their whereabouts. 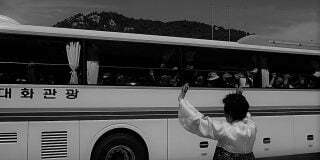 At times when a high number of North Korean refugees are being deported back to North Korea, the authorities can’t execute all of them as political prisoners. In towns near the border, many people have at least one neighbor who had escaped from North Korea. Because there are so many, they can’t be locked up as political prisoners. The deification of Kim Il Sung is more important than the constitution, and the will of the Kims superior to any law in North Korea. This was why these Labor Training Centers were created. North Korean refugees who were sent back had to suffer forced labor at Labor Training Centers, without even knowing what their charges were. They only vaguely knew that it was a crime for them to escape from the North for economic reasons. In North Korea, the law exists to protect those in power and to eliminate those opposed to it. 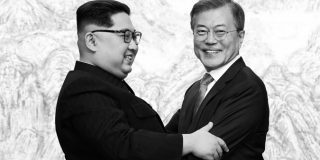 The North Korean law is only a device to retain the dictatorship of Kim family. No one is entitled to protection under the law. But there’s one thing that predominates over all of these stated above: statements made by the man who now rules the country. A four-star general in North Korea can be demoted to three-star general the next day or promoted to five-star general overnight just because Kim Jong Un feels like it — that’s the rule of law in North Korea. Subscribe to read the remaining 958 words of this article.